Home > Hand-Made Dress with Crochet Top- Sizes In Stock - Can be specially ordered! 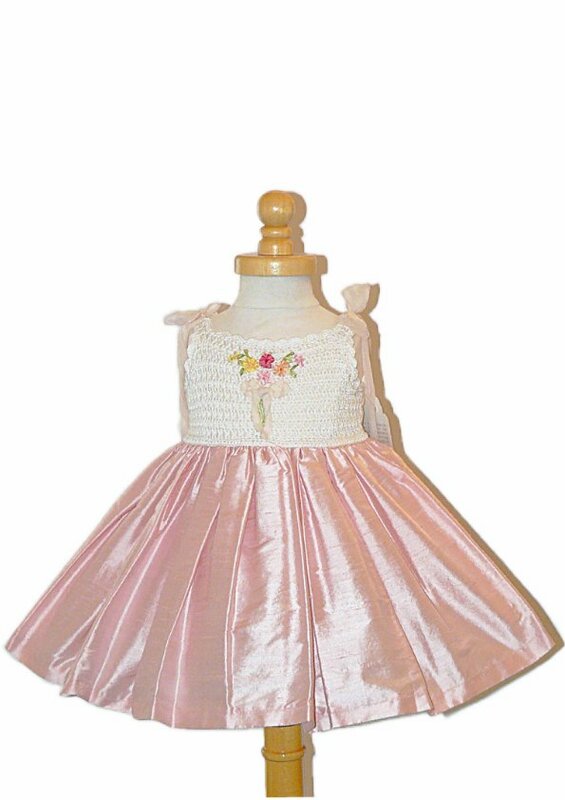 *Hand-Made Silk and Tulle Dress* Can be specially ordered if a size isn't available! Silk and tulle with embroidery that is fully lined so it won't touch the baby's skin. There is no way to describe this dress. It is an heirloom and made with attention to every detail. Please do not hesitate to contact us with questions or to place your special order.